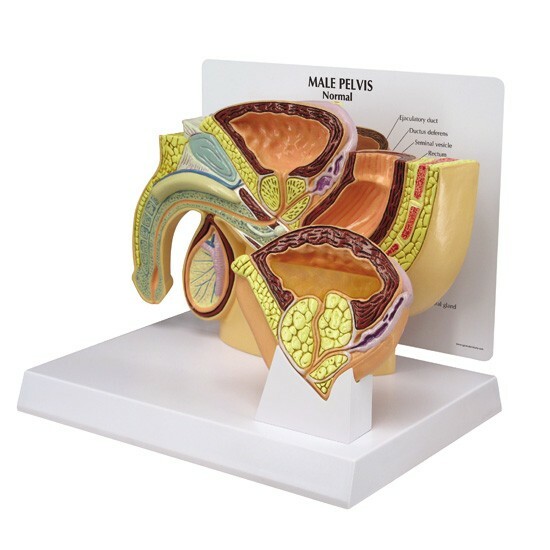 Reduced size, mid-sagittal section male pelvis, shows anatomy of the pelvis and testis. 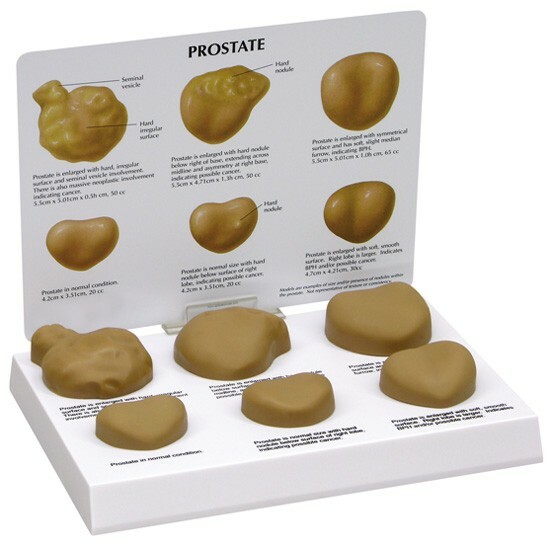 Testicles showing the two most common tumors, seminoma and teratocarcinoma, are included. 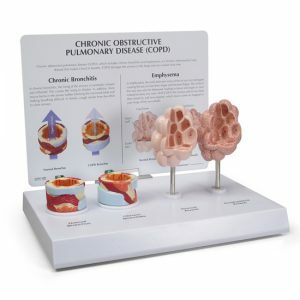 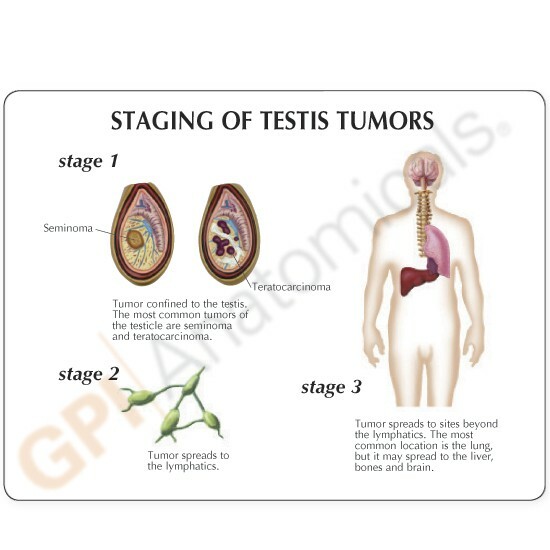 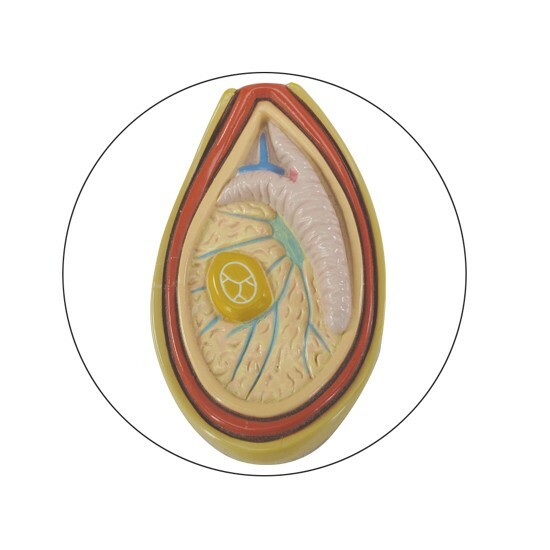 The two-sided education card features the male pelvis on one side and three stages of testis tumors on the second side.